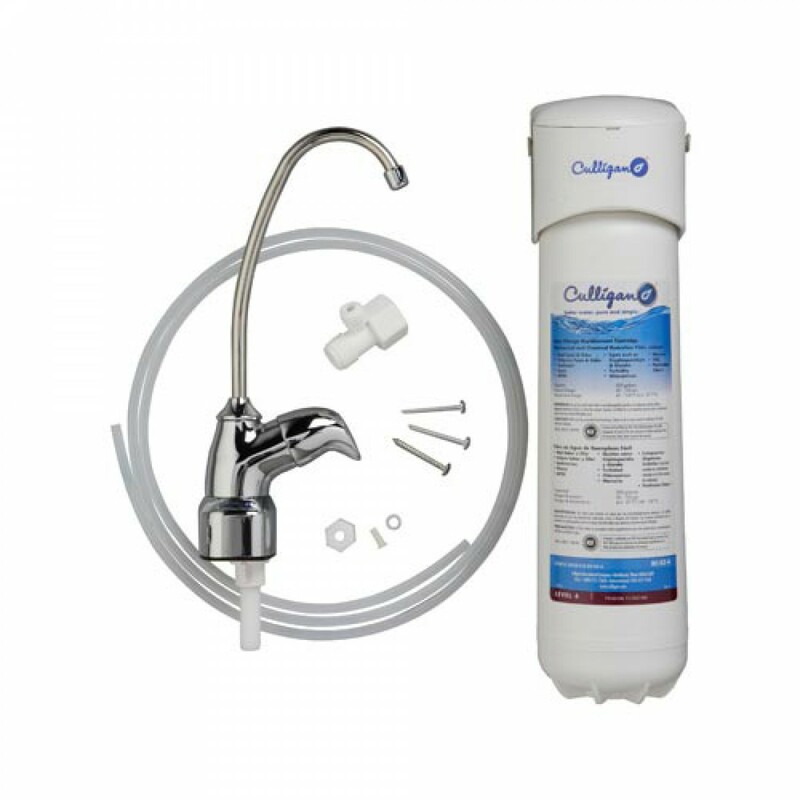 For up to six months between filter changes, the Culligan US-EZ-4 Easy-Change undersink water filtration system will reduce up to 99% of chlorine, mercury, lead and more before these impurities can impact your water quality. Quick to install, this genuine OE system ensures you pour and serve only the cleanest tasting water! Comes complete with a lead free faucet, replacement cartridge and everything else needed for set-up. Order the Culligan US-EZ-4 Easy-Change undersink water filtration system from us today. Serve great tasting, high quality drinking water! The CULLIGAN-US-EZ-4 does not reduce fluoride.